Baby Arugula Tossed With Roasted Mushrooms and Leeks is a recipe that we come back to again and again. Do you have one like that? We make this baby arugula several times a month. Do we tire of eating it? Arugula with roasted mushrooms and leeks. Baby arugula salad is easy to assemble, delicious, and nutritious.The roasted mushrooms and leeks give the greens a gourmet taste. 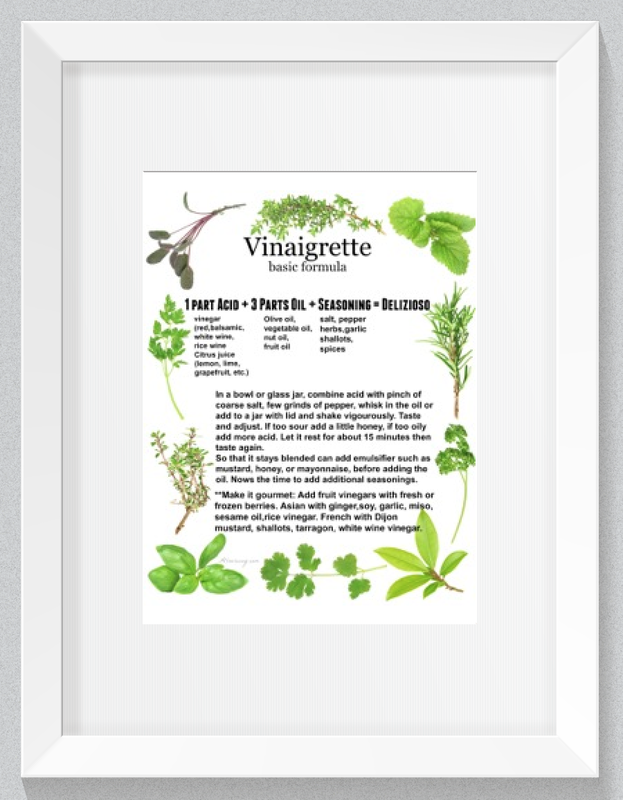 The lemon vinaigrette compliments the peppery taste of the arugula. We like to place grilled salmon or our pompano with the lime and extra-virgin olive oil on top of the arugula. We like to use a combination of mushrooms, shitake and baby portabellas are the best. Be sure to add the shitake in the mix because they are fantastic and make the Baby Arugula Tossed with Roasted Mushrooms and Leeks the special dish that it is!! The spiciness of the arugula is tempered with the richness of the roasted mushrooms and leeks. 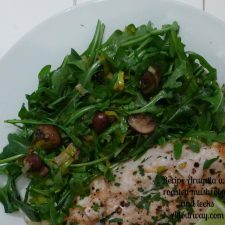 By adding the oven hot mushrooms and leeks and the dressing of lemon juice and extra-virgin olive oil, the arugula slightly wilts. It is a perfect side with a milder meat or fish. 2 leeks - white and light green only halve them and rinse them thoroughly to remove sand and grit. Once they are cleaned thinly slice. 3 Tablespoons extra-virgin olive oil -- or more if needed. Toss mushrooms and leeks with the 3 tablespoons of olive oil -- you may need a little bit more. Season with salt and pepper. Put the mushrooms and leeks onto a parchment lined baking sheet. Roast for about 8 minutes. They should start to look a little golden and have given up some of their liquid. In the meantime put the arugula into a large bowl. 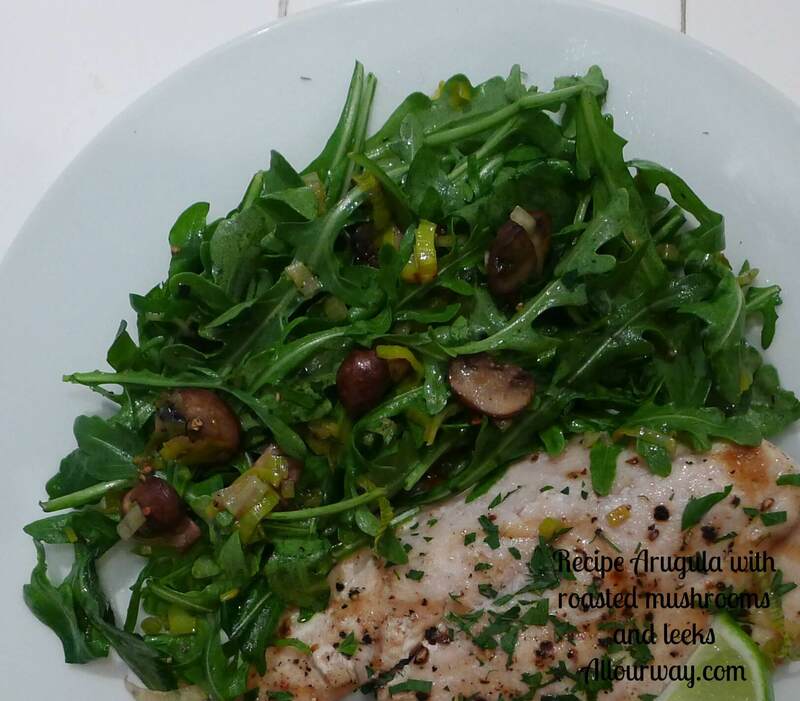 Once the mushroom/leeks are done, immediately add them to the arugula and toss. Add the lemon juice, olive oil, salt and pepper. Toss again and serve immediately. The leftovers are great the next day. We've eaten them cold and even warmed them up a bit. DELICIOUS! !…..had it for dinner tonight and could have eaten the whole bowl! This was a nice change from the ho hum salad. It’s a keeper!